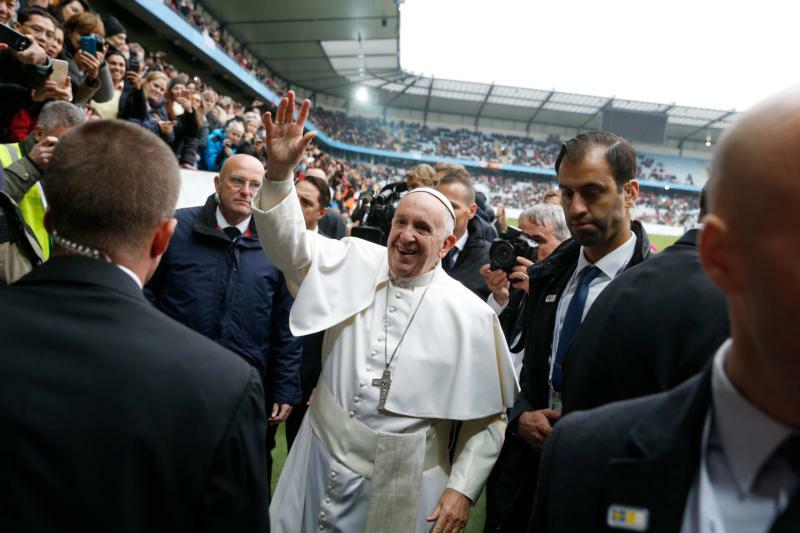 At the end of an ecumenical trip to Sweden, Pope Francis celebrated the Feast of All Saints with a Catholic Mass in a Malmo stadium. He highlighted the lives of the Swedish saints, Elizabeth Hesselblad and Bridget of Vadstena, who "prayed and worked to create bonds of unity and fellowship between Christians." The best description of the saints—in fact, their "identity card"—the pope said, is found in the beatitudes from Jesus' Sermon on the Mount, which begins, "Blessed are the poor in spirit." Registered Catholics in Sweden number about 115,000—just over 1 percent of the population. But with recent waves of immigration, especially from Chaldean Catholic communities in Iraq, local church officials believe the number of Catholics is double the reported figure.